Why does Carl Edwards like the new aero package for 2016? Here are his three reasons. 3. 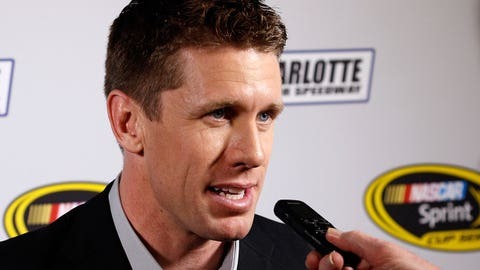 In the driver’s hands: "The whole art of driving a race car, the whole game, is being able to manage the car through the corner and get to the gas sooner manage the braking, slide the car around," said Edwards. "That’s what all of us have worked on our entire lives. "As you take downforce and sideforce away, as you add horsepower, you put more of the racing back in the drivers’ hands. To me, that’s what car racing is about. It’s not, ‘Put your foot down on the floor and steer an engineering experiment.’ It’s racing and manhandling a race car." 2. It’s a good start: "If NASCAR continues to go in this direction, the sport will just become better and better," said Edwards. "We stepped away from that. We got farther and farther away from that." And now, NASCAR is headed in what he thinks is the right direction. 1. 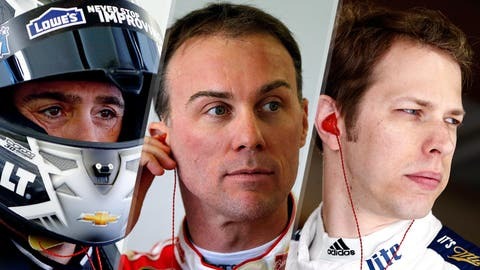 It rewards the best drivers instead of the best cars: "If you can never spin the tires, right? And every car has 500 horsepower — but the tires can never spin and everybody’s foot is to the floor — the guy with 501 horsepower has a huge advantage," Edwards said. "But if you can only hook up 400 horsepower (without spinning the tires and losing time as a result), then it doesn’t matter if you have 400 or 1,000 (horsepower)," said Edwards. "It doesn’t matter — anything over 400 and everybody’s in the same boat. If you make it harder to harder to drive, you make it cheaper, you show talent more and most importantly, for the fans, the racing is dynamic. You’re going to see guys making things happen. And that, to me, is what’s so cool about car racing." "The new rules package is a step in the right direction," Edwards said. "We need to just keep going that way. In my opinion, we should be racing cars with no aerodynamic aids — no downforce, no sideforce. That’s what stock car racing is about."